This beautiful little candle lantern will bring some shabby chic styling to your home decor or wedding. 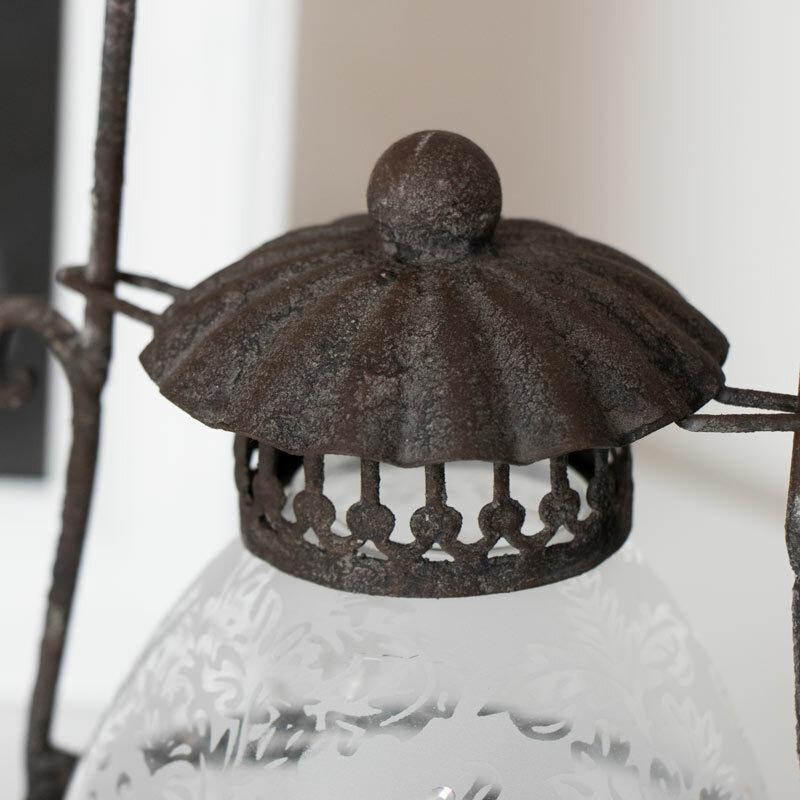 Wonderfully charming with a beautifully etched glass dome nestled safely within the rustic metal lantern holder. This will easily hold a tealight candle. The top of the lantern lifts up for that the glass holder to be removed so the candle can be replaced. This beautiful little candle lantern will bring some shabby chic styling to your home decor or wedding. 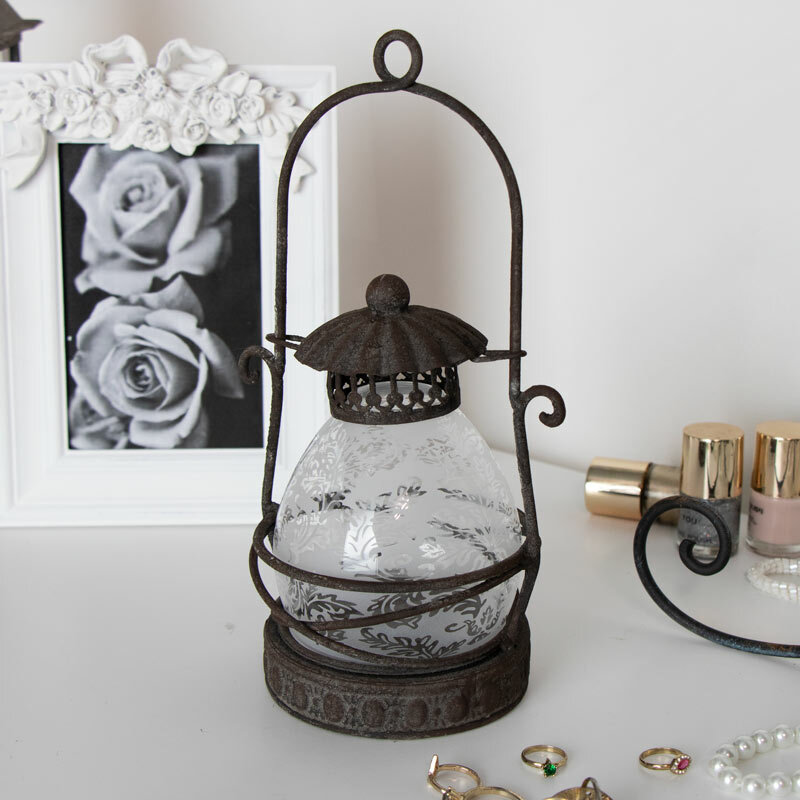 Wonderfully charming with a beautifully etched glass dome nestled safely within the rustic metal lantern holder. This will easily hold a tealight candle. The top of the lantern lifts up for that the glass holder to be removed so the candle can be replaced. 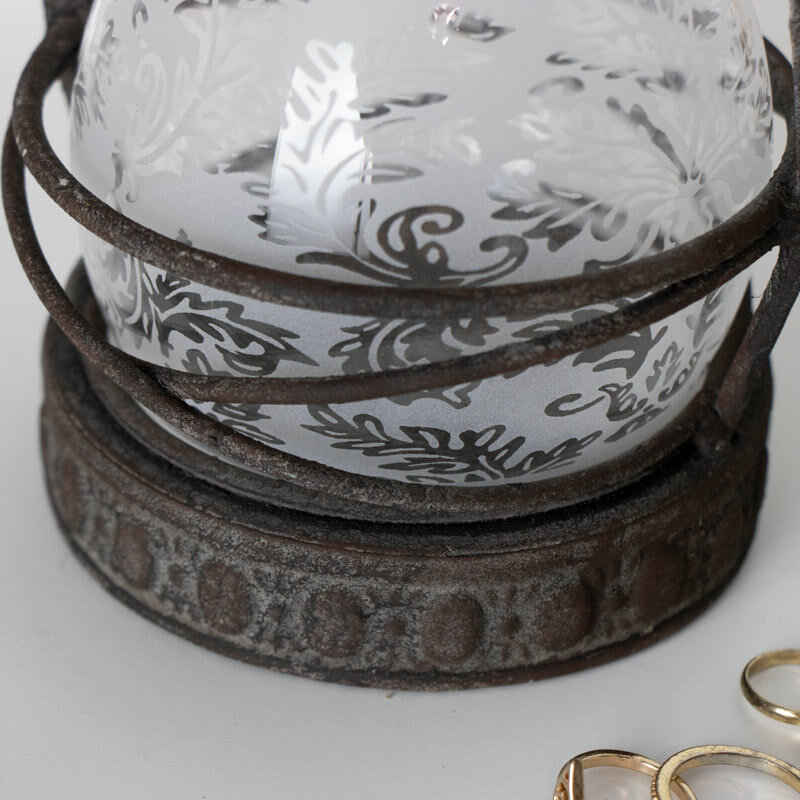 Made from metal in a rustic, distressed finish with etched glass dome. Can be used freestanding or hung from the metal loop. How better to add a little mood lighting than with candles, to give off that warm flickering glow. We have the best range of candle and tealight holders in a range of styles and designs, from the single candle holder to multi arm candelabras in an array of colours to suit every decor.